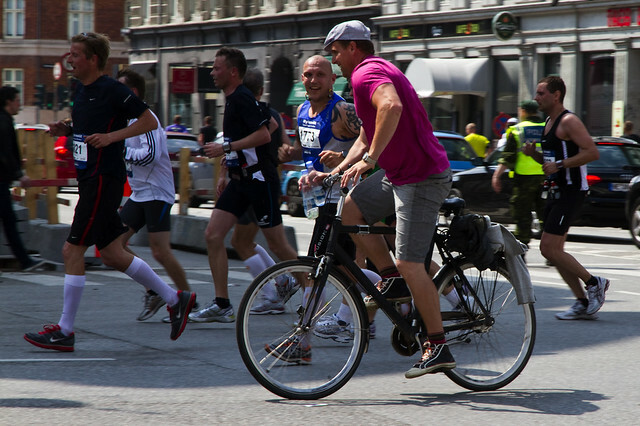 Last weekend saw the annual running of the Copenhagen Marathon. 12,000 runners took part. I was out with my dad, his companion and my kids and we watched it for a bit. 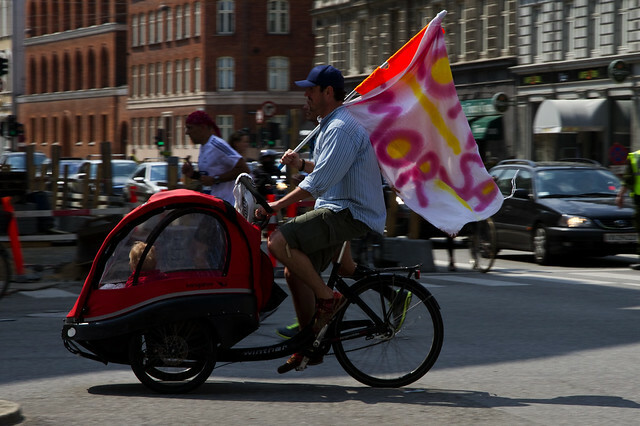 I mostly took photos of the cyclists enjoying the car-free streets, but hey. What I noticed, however, was the many outriders riding bicycles alongside the runners. Above, a husband and child following the wife/mum with a banner reading "Come on, Mum!" as encouragement. Brilliant. Another example was this guy riding alongside a friend. Respect to the runner for being able to smile and laugh. The bicycle as support vehicle. Nice.